A collection of posters and other promotional items in different languages. Arabic, Chinese, English, French, Russian and Spanish. Right-click link and select Save link as… to download, or view the videos on Youtube. The package download contains a .zip file with the logo in various formats. Read the usage guidelines for these resources. The package download contains a .zip file with the images suitable for creating branded materials. Goal 6: clean water and sanitation. Download educational poster. 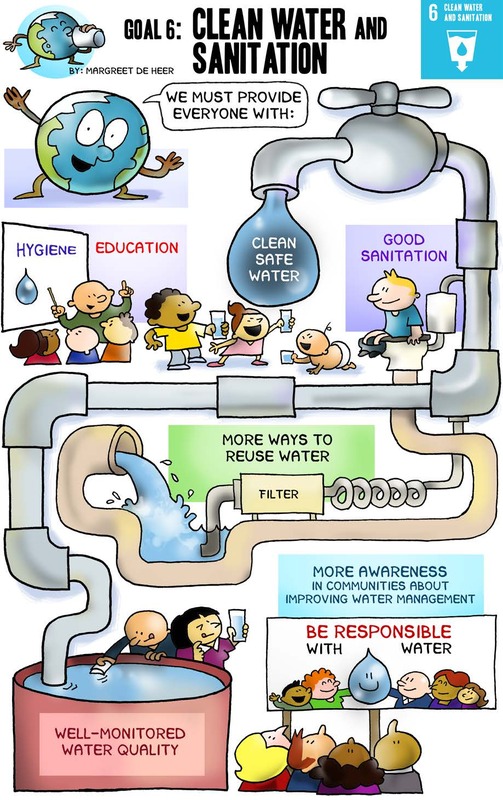 Clean water and sanitation: why it matters? Download educational pdf. The Water Rooms (left/above) is a series of videos developed by UNESCO WWAP on occasion of Expo 2015 to encourage learning about water resources and their sustainable management. Each “room” offers a fun and emotional experience inviting the viewer to reflect on the dynamics affecting the resource and the actors managing it. Search through our complete collection of World Water Day assets.